Short positions below 0.9665 with targets at 0.9625 & 0.9600 in extension. 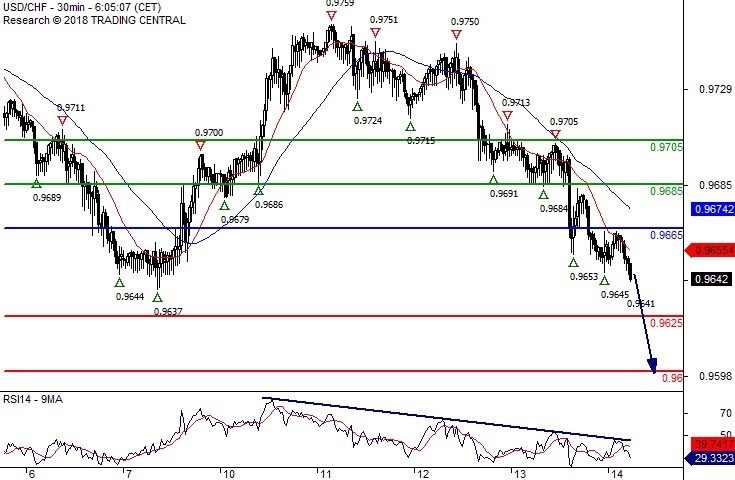 Above 0.9665 look for further upside with 0.9685 & 0.9705 as targets. The RSI is capped by a declining trend line. Short positions below 1.3020 with targets at 1.2970 & 1.2935 in extension. 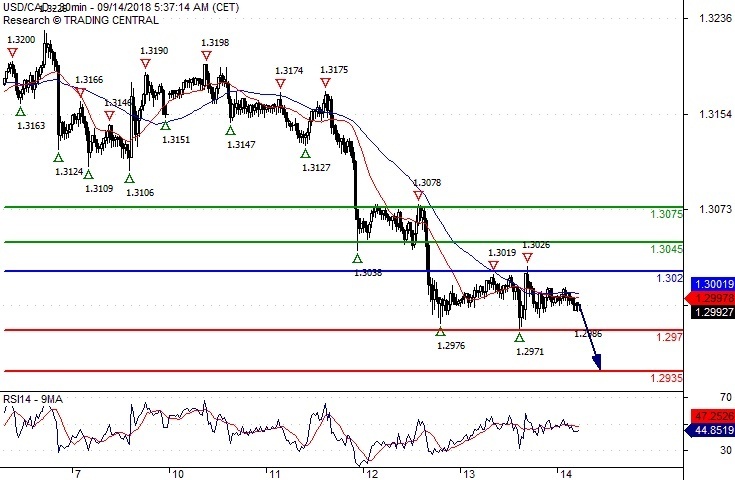 Above 1.3020 look for further upside with 1.3045 & 1.3075 as targets. 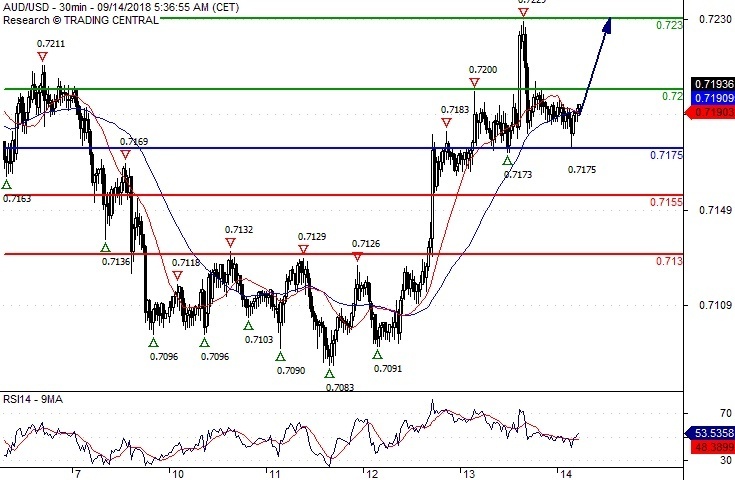 Long positions above 0.7175 with targets at 0.7200 & 0.7230 in extension. 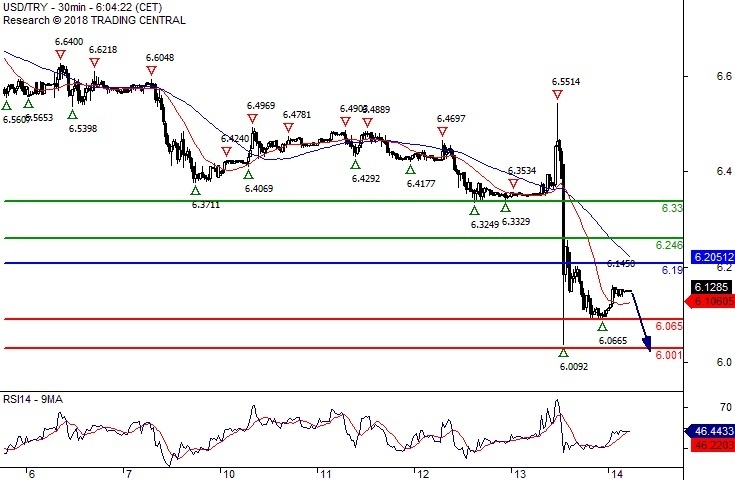 Below 0.7175 look for further downside with 0.7155 & 0.7130 as targets. Short positions below 6.1900 with targets at 6.0650 & 6.0010 in extension. Above 6.1900 look for further upside with 6.2460 & 6.3300 as targets. As Long as the resistance at 6.1900 is not surpassed, the risk of the break below 6.0650 remains high.